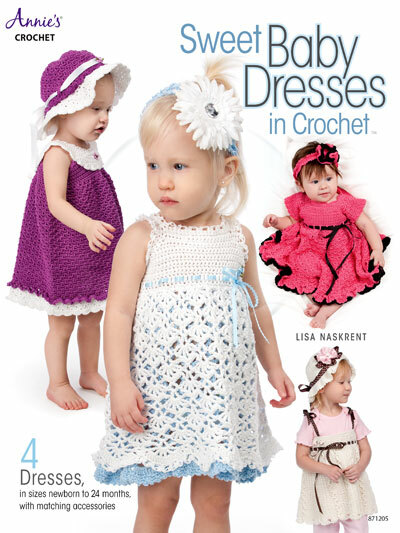 Darling dresses with matching accessories to crochet for your little princess. These four dresses with matching hats or headbands are perfect for many occasions from baby coming home to a day in the park. Stella's Cable Set is a cute little dress with ribbon straps that tie at the shoulders. It can be worn with or without a shirt and leggings under it. 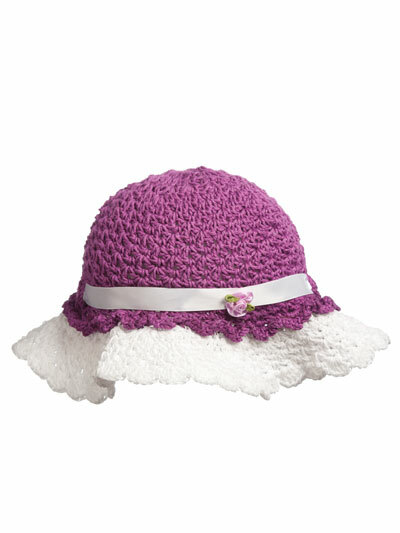 A floppy brimmed hat that is turned up in the front with ribbon bows complete this set. Ariel's Lace dress is a yoked dress with a lacy open-weave body allowing the underskirt to show through. The matching headband is accented with a large purchased flower. A simple round yoke collar makes Madison's Boulevard Set stand out. The collar is made in a contrasting color from the body of the dress and finished off with a pretty ruffled bottom edge and a floppy brimmed hat. If you are looking for frills and ruffles with a full skirt, you have found it with Haylin's Twirls. 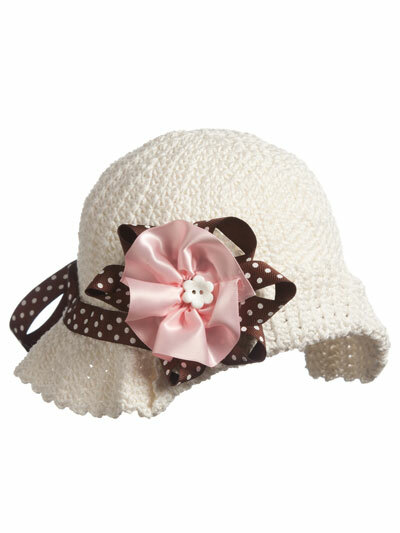 The matching headband with a crocheted flower finishes off this adorable outfit. All eight designs are made using DK weight yarn. Instructions are written for newborn to 24 months.